Don't think that only social addict can make an excellent Instagram post. If you use this Instagram post maker FotoJet, you will recognize this is easy to do. Here we got numerous beautiful Instagram post templates covering many occasions. You just choose what you need and make it customized for your purpose. 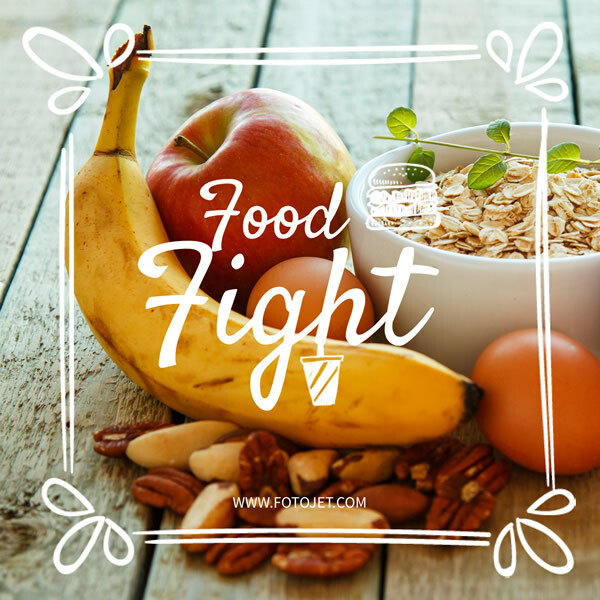 Take this food fight Instagram post template as an example, you can change the photo and text into yours, or add some special effect on it, so it will be a perfect Instagram photo immediately.